People who have lived in the city for more than 15 years often decry the loss of the "old Austin"—a place of low prices and little traffic. Happily, Austin retains its famous combination of southern friendliness and new-age optimism despite its growth and related traffic problems. More importantly, it is still a center for great music and big-time events such as the Austin City Limits Music Festival and South by Southwest (SXSW) Music, Film and Interactive Conference. Even its newfound, caffeinated business savvy has emerged as one of its charms. 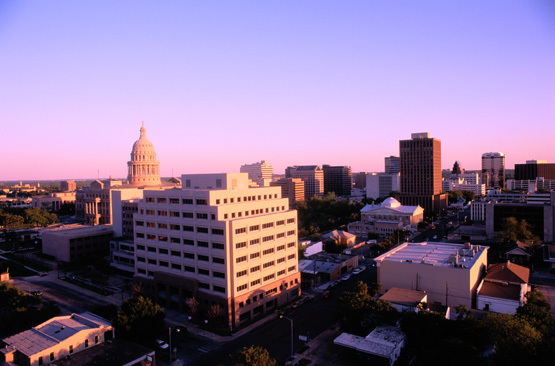 Austin is a place where people still take things at their own pace; the food and drink are surprisingly good for what remains a small city; and the live-oak-covered hills are a fine place for walking, jogging or bicycling (at least until the broiling summer heat arrives). Step into the right bar on the right night, and you'll find long-haired college students and cowboy-hatters grooving to the same band, just as in the days of old, as well as the computer professionals who have become a part of the social fabric in Austin. To this day, the city defines itself in iconoclastic terms—across town on bumper stickers and T-shirts you'll see the community's unofficial motto: "Keep Austin Weird."